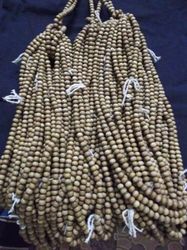 Providing you the best range of sandalwood japmala, sandalwood tasbih mala, sandalwood beads 108 japa mala, sandal wood mala, sandalwood 27 beads jaap mala and sandalwood mala with effective & timely delivery. Packaging Details: Carefully packing in plastic bags. 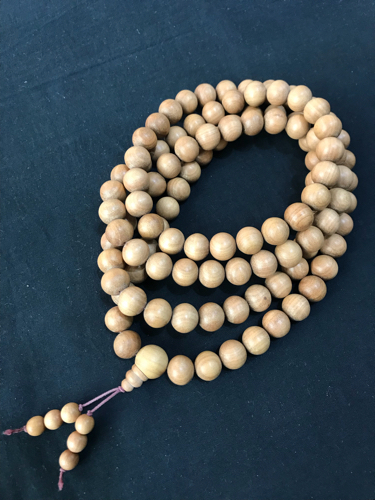 Backed by constant support of our skilled professionals, we are able to provide high quality Sandalwood Tasbih Mala to our honorable customers. Prior to dispatch, our quality controllers ensure this tasbih to be defect free in nature to meet the diverse requirements of our clients. 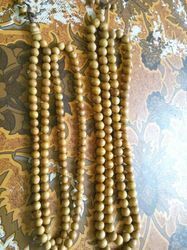 Known for its excellent finish and high durability, the offered tasbih is designed using quality tested wood and sophisticated techniques at our well-equipped manufacturing unit. Packaging Details: Packing in bubbles finally packing in box. 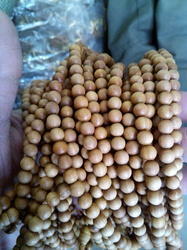 In order to retain our goodwill in this industry, we are offering a latest array of Sandalwood Mala. It is extensively demanded in the market for its rare designs and best quality. Being designed by our adept experts using optimum quality wood at our highly efficient production unit, it is widely demanded in the market. 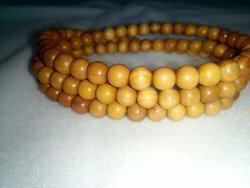 This mala has broad facial features and is elongated in shape. Furthermore, clients' can avail the entire range from us at an affordable price. Packaging Details: carefully packaging in plastic bags . 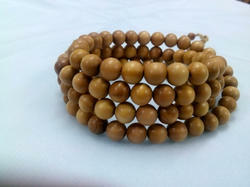 By utilizing vast ancient scriptural knowledge, we are offering a broad gamut of Sandalwood Japa Mala. Our offered range is crafted by our skilled craftsmen using pure beads with immense care. These qualitative products are checked authentically by our quality controllers in order to benefit our clients at most possible way. Besides, clients can avail the entire array at nominal prices. 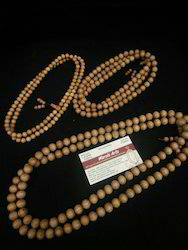 Being a client-centric organization, we are engaged in offering a comprehensive range of Sandalwood Prayer Mala. 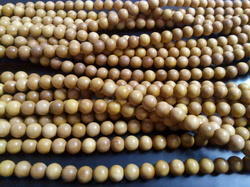 Designed with best quality raw material, these beads are processed as per the need of clients. Apart from this, these beads are quality tested on well defined parameters of industry by our quality experts. Furthermore we are also engaged in customizing our offered beads in various specifications as per the requirement of our clients. 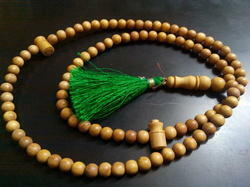 Since our inception, we are instrumental in offering premium quality Sandalwood Tasbih Mala. The entire range is designed by using latest crafting techniques and quality tested wood. According to the varied requirement of clients, we offer this tasbih in various colors and attractive patterns. 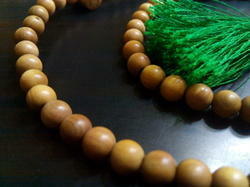 Apart from this, provided tasbih is widely demanded for its brilliant features and customized options. 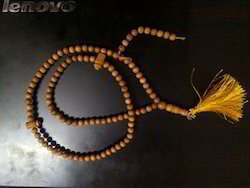 Clients' can avail the entire range of tasbih in various sizes and at affordable price. Widely acknowledged for its remarkable features, our organization is engaged in offering a wide assortment of Sandalwood Rosary Mala. 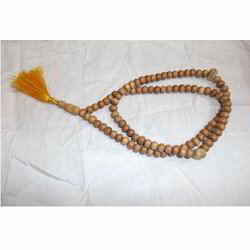 This mala is widely praised for its excellent carving and effectiveness. 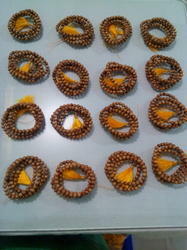 This mala is strictly checked by our experts on various parameters to ensure its flawlessness. Our mala is well known as a natural healer for blood purification. 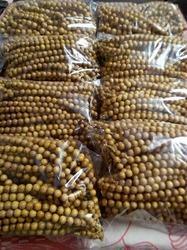 The offered mala can be availed by us in variegated packaging options. 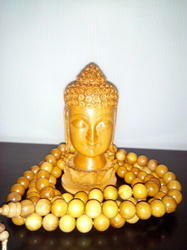 Our mythological and spiritual awareness enable us to offer a wide spectrum of Sandalwood Jaap Mala. 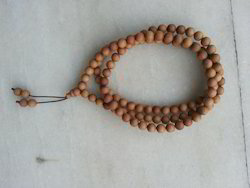 This mala is finely crafted by our craftsmen in order to ensure its flawlessness and quality. The advantages of our products are described in various sacred books. 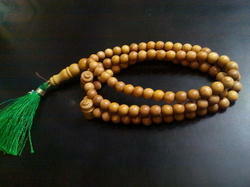 This mala is suitable for balancing one's mind and focusing on spiritual concepts. Apart from this clients can avail this range in various specifications. 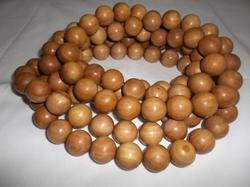 We are engaged in offering an extensive array of Sandalwood Mala. Our offered mala reflects the creativity and workmanship of our skilled artisan. This mala is highly appreciated by our clients for its exquisite design and high durability. 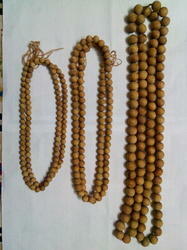 Further, this mala is designed in classical as well as modern designs. Available in several sizes, postures and finishes that perfectly suit the clients’ specifications, we provide this mala at market leading prices. 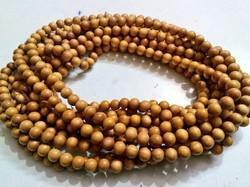 Backed by rich industry experience, we are affianced in providing a qualitative assortment of Indian Sandal Wood Mala 108 are available in different sizes and shapes. These beads are widely preferred by clients for its pure and lustrous look. Used in making of various jewelry items, they are designed very precisely and can be worn on any occasions. 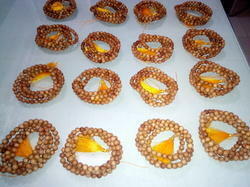 Our skilled professionals can customize these beads without compromising with the quality of the beads. With the extensive knowledge and experience in this respective domain we are engaged in offering high quality Sandalwood Mala. Keeping in mind the exact requirements of clients, we also provide these beads in various attractive colors and shapes. Furthermore, to deliver defect free range at our clients’ end, our quality controllers check it on well defined parameters. 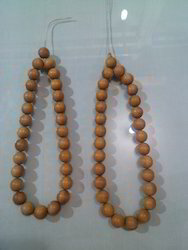 Apart from this, clients can avail these beads from us at affordable price. 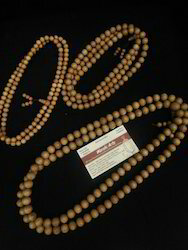 Our valued clients can avail from us a unique range of Sandalwood Mala. These beads are aesthetically designed by our adroit professionals using highly developed technologies and following latest fashion trends. Our offered beads are extensively admired for their unmatched quality. In addition to this, these beads are available in various shapes and alluring patterns. 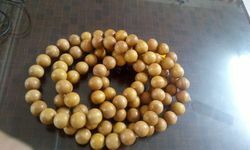 Further, these beads can be customized and is available with us at market leading rates. 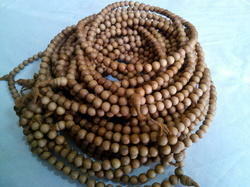 We are determined to provide superior quality Sandalwood Mala. Our offered stone is beautifully designed by our designers by utilizing optimum quality raw material. Suitable to be worn with finger ring and necklace, it has gained huge demand in the market. It is available in diverse designs, patterns and sizes for our clients to choose from. Moreover, we offer this diamond to our respected clients at market leading prices in excellent packing options.